Rocky and Ross left, it&apos;s the middle of the movie. Kelly had to leave early for a family emergency. So it was only Ratliff, Rydel and Riker. "Hello?" I heard Kelly say. "Ok, oh my really? I&apos;m coming right now. Ok bye" I heard her say. "Umm...eh Ell I got to go there was an accident with my family I&apos;ll call you later" Kelly whispered to Ratliff. "Aww ok I hope everything is fine" Ellington says to Kelly. And Kelly left and said bye to all of us and told us to say bye to Ross and Rocky for her. Now there were only Ratliff, Rydel, and I. I wish my sister would admit herself to him so maybe he might feel differently and realize that rydellington is meant to be!!!! I mean most people would think I wouldn&apos;t accept it because I&apos;m over protective. I am but Ratliff is different to her. He would never hurt Rydel. If he ever did...oh I think you wouldn&apos;t want to even dare to cross that line and side of me. I turn to Rydel and I see she&apos;s facing Ratliff. Then I hear them speak. "......Ratliff.... Ive been... meaning to tell you something...." I hear Rydel say. "Delly you can tell me anything." I hear Ell say. "Umm....I-i ...h-have-" that&apos;s when she stopped. "Never mind" she said quickly." Oh ok but remember you can tell me when you want to" Ratliff Says calmly. "But Rydel...you can trust me with anything because we are friends and...." I hear him say. "I know and I said never mind" Rydel chuckling softly. IS HE LEANING IN??!?!!??!? What in the world?! What are you doing Rydel don&apos;t just sit there. I started to lean in. They had the mouths and eyes wide open. And Riker was watching the movie and looking at us. Me and Ell pushed ourselves back and we turned red. And when I mean red I mean red as a tomato! The place was so quiet and you can probably hear a pin drop. The only thing making sound was the movie. Ell&apos;s phone then broke the silence. "Hello?" He asked. "Hey baby! Umm everything is ok and I&apos;ve been meaning to ask you something..." Kelly said through the phone. "What is it Kelly?" Ell says. "Since I left early from the movies, I was wondering if you, Rydel, Rocky, Riker, and Ross and Ryland would like to go bowling next week on Friday?" Kelly has happily. "Umm...eh...sure we would love to go with you!" Ell said. "ok bye babe I love you". "I love you to Kelly". After that call we all walked out of the movies. Everyone was quiet. Then we started talking and singing like our way here was. We went into the car. I need to talk to Ell about the scene at the movies in the car. I was so jealous. I couldn&apos;t believe I did that to Kelly. I was going to kiss her boyfriend!! I was gonna kiss my friends boyfriend. 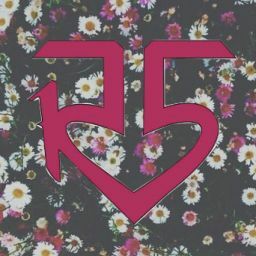 Ohhh Rydel&apos;s is gonna try again!!! What will Ellington say about this?? 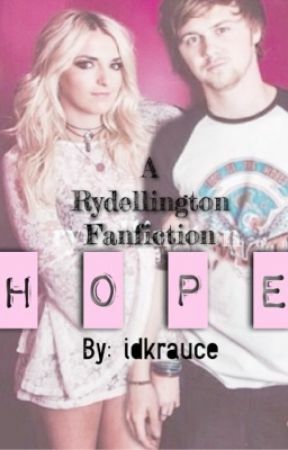 Ohh and in this story Ratliff lives across the house and Riker ships Rydel and Ratliff and would let them date.....for now!